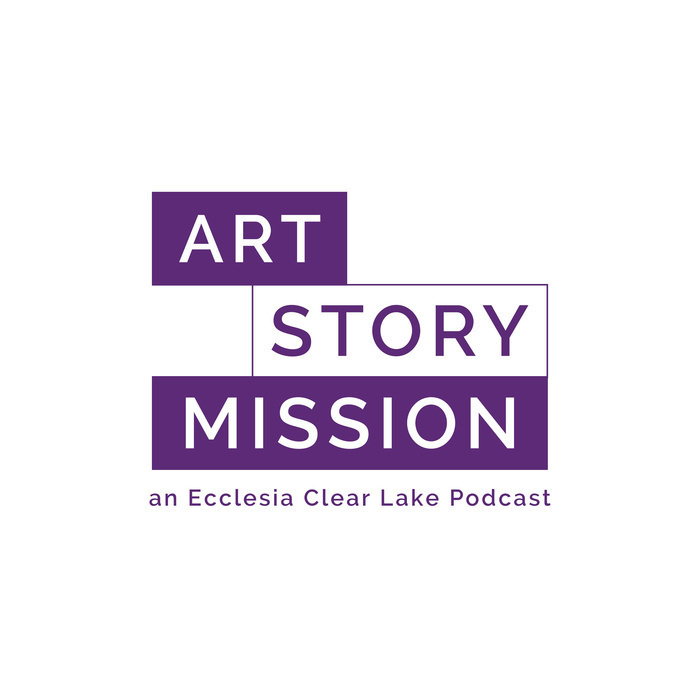 Art Story Mission is a new podcast from Ecclesia Clear Lake, hosted by John Hatfield and featuring various voices from the ECL community. This podcast is an ongoing conversation about the journey of following Jesus as we explore themes of beauty, mission, and the stories that are unfolding in and around our faith community. We hope this show encourages you to dive deeper into the life that God offers in Jesus Christ. Like many of the things we do at Ecclesia Clear Lake, Art Story Mission follows the church calendar as a backdrop for our conversations. Each new season on the church calendar will bring fresh voices, new stories, and evolving discussions on art, beauty, and the mission of the Church. This is the final episode of season 1. Art Story Mission will return in Advent with all new stories, discussion, and voices as we continue to explore the intersections of beauty, faith, and culture. We're so honored that you've come along for this journey. Thank you for listening. Lacy Hilbrich guides our meditation in Psalm 139 as we journey nearer to the cross in Lent. Lauren & John discuss how the pursuit of beauty can shape our church life. Coby breaks down a theory of understanding roles in conflict. Hosts John Hatfield, Lacy Hilbrich, Lauren Kussro, and Coby Cagle kick off our conversation about inner healing, art, and emotionally healthy spirituality. Art Story Mission is produced by the community of Ecclesia Clear Lake in League City, TX. Each week in this series, Art Story Mission brings you a Lenten meditation, a conversation about faith and art, and a discussion on emotionally healthy spirituality. Be sure to subscribe to this podcast so you don't miss the next episode. If you'd like more information about Ecclesia Clear Lake, please visit our website. In episode 5 we meditate on the practice of stillness, the role of art in cross-cultural communication, and physiological responses to chronic anxiety. In the fourth of our six Lenten episodes, we meditate on simplicity, discuss depth perception, and explore emotional health in the context of community. In the third week of Lent, we explore themes of self-denial, authenticity and artistic expression, and symptoms of emotional and spiritual un-health in a community. Lacy, Lauren, Coby and John explore the beauty of wilderness, authentic artistic expression, and healthy emotional responses to difficult situations. Art Story Mission kicks off with conversations about the Lenten journey, art and faith, and emotionally healthy spirituality. In this preview for our Lenten discussion on Art & Faith, John Hatfield & Lauren Kussro talk about the artistic process, sanctification, and blooper reels. John Hatfield and Lacy Hilbrich discuss the Church Year and its importance in the journey of the Art Story Mission podcast. Host John Hatfield introduces Art Story Mission and shares what you can expect from this new podcast.